The U.S. Coast Guard was forced to rescue 46 ice fishermen near Catawaba Island, Ohio, after the sheets broke free and began floating away with them on it. 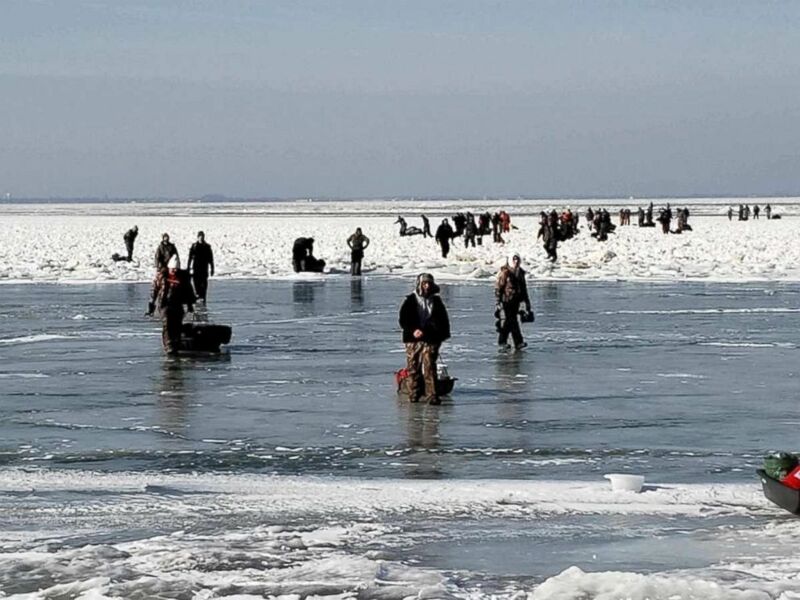 When the ice began to break and separate from the shore, about 100 other fishermen were able to get back on land. The Coast Guard was called to rescue the remaining fishermen with help from Catawaba Island Fire, Put-in-Bay Fire and Southshore Towing. “As soon as we got our lines down a guy started screaming and that’s when we knew something had happened,” fisherman James Gibelyou told Cleveland ABC affiliate WEWS. 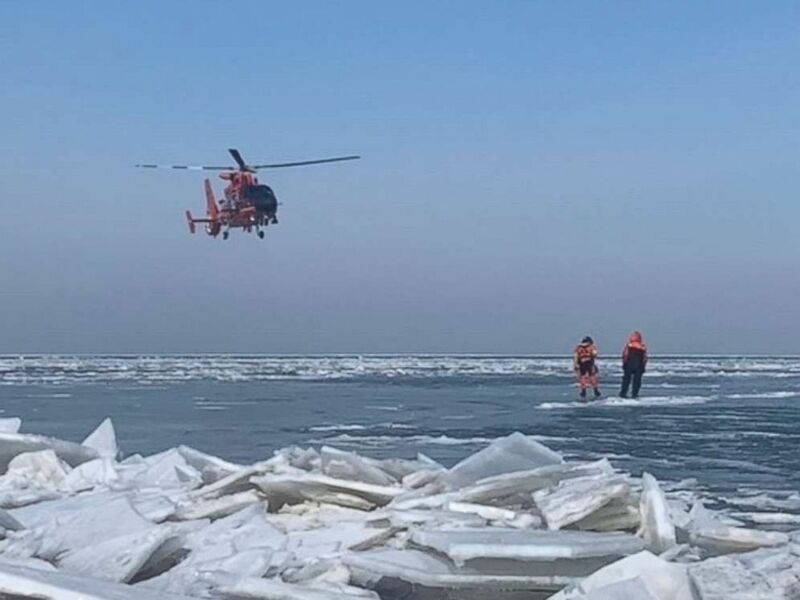 Forty-six ice fishermen were rescued by the U.S. Coast Guard near Catawaba Island, Ohio, after becoming stranded an ice floe on Saturday, March 9, 2019. 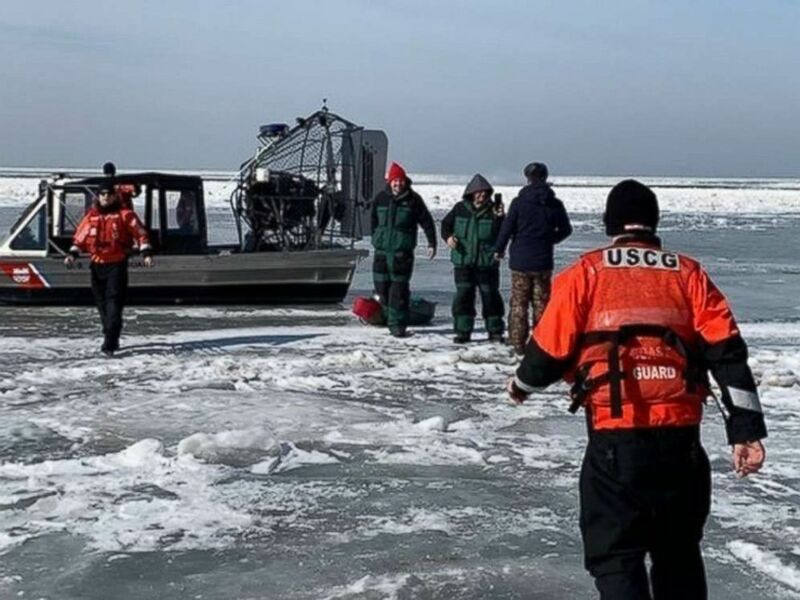 Forty-six ice fishermen were rescued by the U.S. Coast Guard near Catawaba Island, Ohio, after becoming stranded on an ice floe on Saturday, March 9, 2019. Gibelyou said he waited a couple hours for rescue and floated almost 2 miles out into the lake. The high temperature in Sandusky, just a few miles south of Catawaba Island, was a relatively balmy 41 degrees on Saturday. The high just four days earlier was 19 degrees. The water temperature in Lake Erie was 33 degrees off Toledo, Ohio, on Saturday, according to the National Weather Service. Ice fishing is a popular pastime along the northwest coast of Ohio. Walleye, yellow perch and smallmouth bass are all common in the western basin during the winter season, according to the Ohio Department of Natural Resources’ Division of Wildlife. Everyone was rescued by 11:15 a.m., the Coast Guard said.